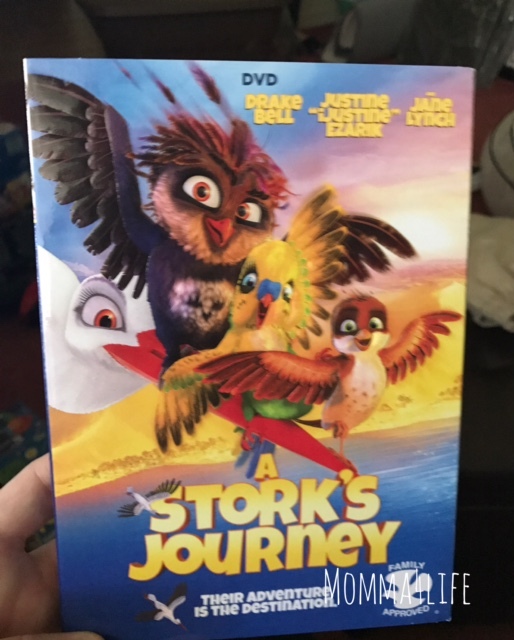 A Storks Journey is this really great family film Richard is sparrow orphaned at birth and raised by storks who believe that he is a stork too. But when the winter comes and the storks prepare to migrate to Africa, his stork family must reveal his true identity and leave him behind in the forest. 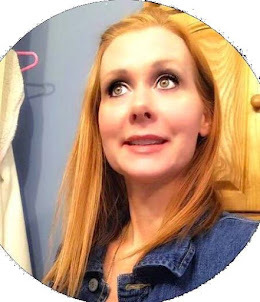 We have movie night every Friday night when school is in session now that it's summer we have alternated between Fridays and Saturday nights as movie nights. 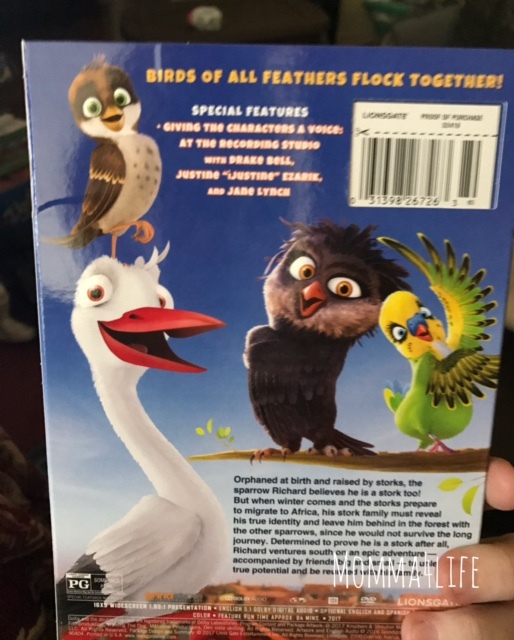 The kids absolutely adore this movie and I thought it was super cute to my favorite was the owl. I loved at the beginning of the movie how the stork came and saved Richard the sparrow. This movie has a running time of 84 minutes and is rated PG. In the movie Richard finds out that he's not a stork he faces challenges throughout it all but learned a lot about himself in this adventure. 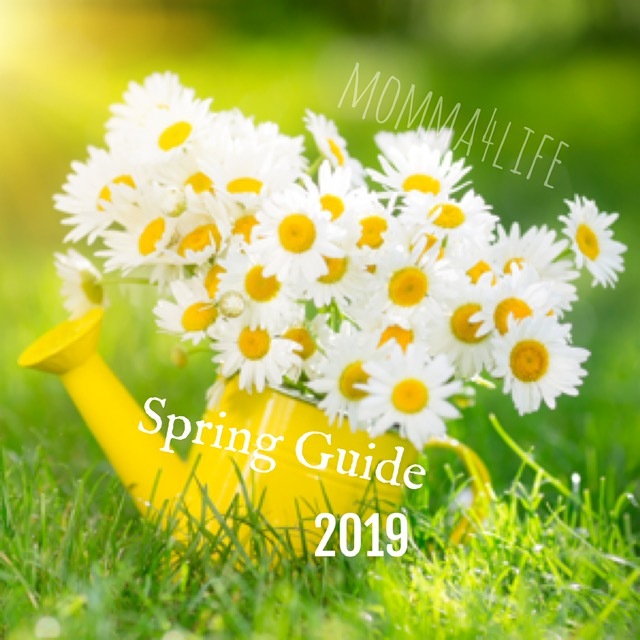 If you like to sit down and watch family movies this will be the perfect movie for you and your family it is super cute and teaches lessons about learning and knowing yourself. This would be a perfect movie to share with your little ones of all ages. And me and my family would highly recommend checking it out.